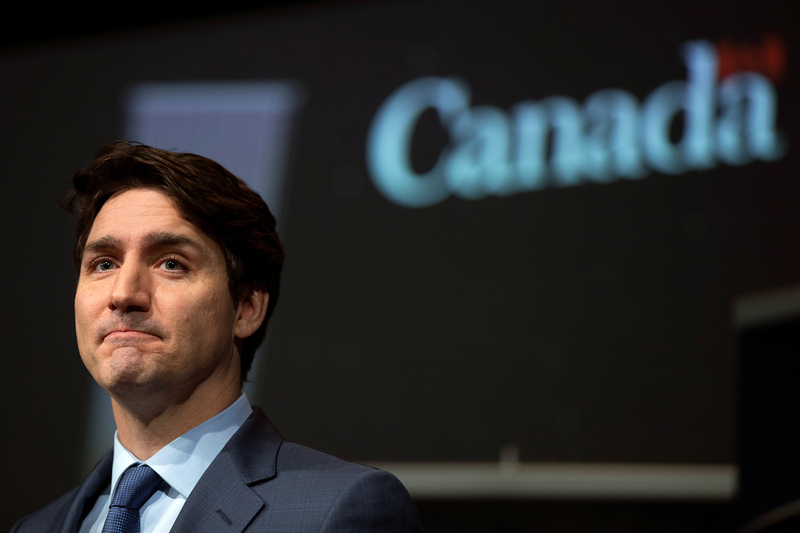 Justin Trudeau Loses Another Cabinet Member Over Allegations Against PM He is accused of secretly trying to direct the attorney general's handling of a criminal prosecution of a large Canadian company. Canadian Prime Minister Justin Trudeau makes an announcement at the Canadian Space Agency in Longueuil, Quebec on Feb. 28. A second member of his Cabinet resigned Monday over allegations that he tried to influence a criminal prosecution. Since taking office in 2015, Canadian Prime Minister Justin Trudeau has become a progressive icon due to his Liberal Party's championing of climate change action and refugee rights, as well as Trudeau's youthful looks and often charming demeanor. Now Trudeau is embroiled in an escalating scandal that has triggered the resignations of his own principal secretary, a kind of senior political adviser, as well as two top Cabinet members, the second one stepping down on Monday. The first Cabinet officer was former Attorney General Jody Wilson-Raybould, who has accused Trudeau of secretly attempting to direct her handling of a high-level criminal prosecution. 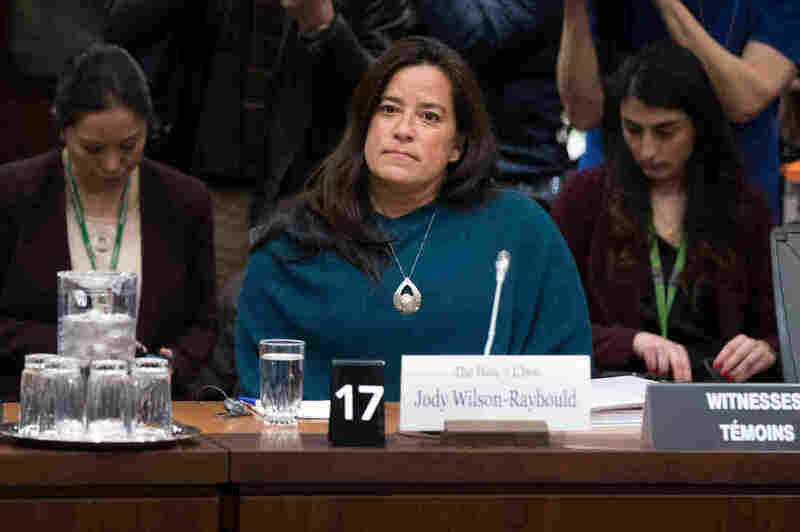 "I experienced a consistent and sustained effort by many people within the government to seek to politically interfere in the exercise of prosecutorial discretion," Wilson-Raybould told a parliamentary committee on Feb. 27. Former Attorney General Jody Wilson-Raybould arrives to give her testimony about SNC Lavalin before a justice committee hearing in Ottawa on Feb. 27. The Montreal-based company faces criminal charges that it engaged in a long-term bribery and corruption scheme in Libya that involved funneling tens of millions of dollars to the family of former dictator Moammar Gadhafi. At issue is the prosecution of a Montreal-based engineering firm called SNC Lavalin, which has more than 50,000 employees worldwide. The company faces criminal charges that it engaged in a long-term bribery and corruption scheme in Libya that involved funneling tens of millions of dollars to the family of former dictator Moammar Gadhafi. If found guilty, the company could be banned from bidding on federal contracts in Canada. Last month, the Globe & Mail published an investigative report claiming Trudeau intervened in the matter, an account Wilson-Raybould corroborated. In her testimony, she said members of Trudeau's team pressured her repeatedly over a period of months in 2018 to reach a negotiated settlement with SNC Lavalin. Their goal, she said, was to protect jobs while also bolstering the Liberal Party's political standing in the province of Quebec ahead of next October's general election. 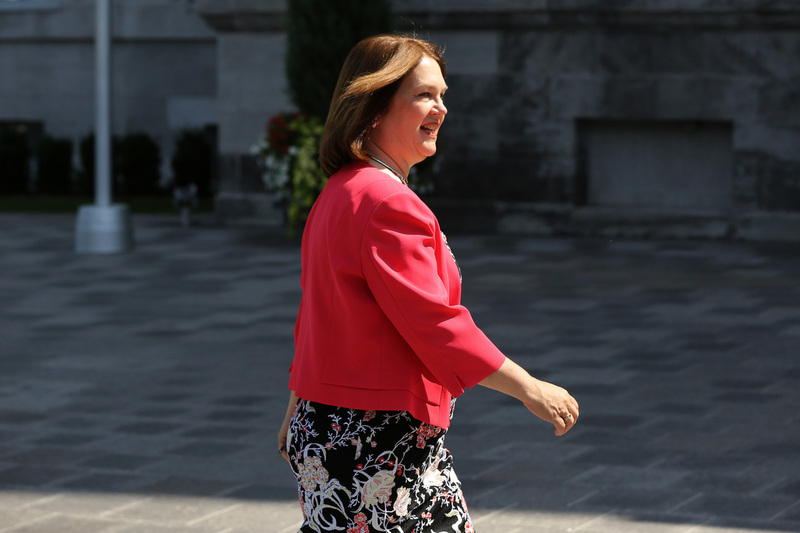 Jane Philpott arrives at Rideau Hall in Ottawa, Ontario in 2017. She stepped down from her post as Canada's Treasury Board president on Monday. On Monday, a second minister, Jane Philpott, stepped down from her post as Canada's Treasury Board president. "It is a fundamental doctrine of the rule of law that our attorney-general should not be subjected to political pressure or interference regarding the exercise of her prosecutorial discretion in criminal cases," Philpott wrote in a letter to Trudeau. The leader of Canada's Conservative opposition, Andrew Scheer, has been a frequent critic of Trudeau. Scheer is demanding a criminal probe of Trudeau's actions by the Royal Canadian Mounted Police and has urged the prime minister to resign. "Justin Trudeau simply cannot continue to govern this country now that Canadians know what he has done," Scheer told reporters. Trudeau has defended his government's actions. During a news conference Monday, he said his staff advocated for the interests of an important Canadian jobs provider, while also respecting the rule of law. "Canadians expect us to do those two things at the same time and that's what we will always do," Trudeau said. But with national elections scheduled for the fall, the scandal shows no sign of abating. This week, Canada's most influential news magazine, Maclean's, published an article about the affair titled "Justin Trudeau, Imposter." The prime minister's former close confidante and political adviser, Gerry Butts, is scheduled to testify about his role in the Lavalin matter before a parliament committee on Wednesday. "There is quite a bit of damage to Trudeau's brand," said Daniel Béland, a political science professor at McGill University in Montreal. "He said he would change politics, and in the end he's just a politician like any other."